Very personable, answered all my questions with out judgement. Genuinely cares about my well being and my mental health.Didn’t feel rushed at all, felt he was sincere and kind. Very personable, answered all my questions with out judgement. Genuinely cares about my well being and my mental health. Didn’t feel rushed at all, felt he was sincere and kind. He was highly recommended to me by both my friends and family and now I completely understand why! He’s awesome! Dr. Hallbauer is a board certified family physician providing a full-scope medical home for families, including inpatient and outpatient care of newborns, children, adults and geriatrics. 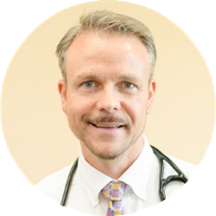 Dr. Hallbauer attended Baylor University for undergraduate and graduate school and then earned his medical degree at the University of North Texas Health Science Center in Ft. Worth. He completed his family medicine residency at Elgin Air Force Base in Florida where he received accolades both as a resident and a teacher. Dr. Hallbauer and his wife, Joslyn, have three sons and reside in Conroe, Texas. Always professional and takes the time to listen. Committed to his patients. Very nice guy and I felt comfortable in the office! Clean and nice staff! Always great friendly staff and experience . The appointment was for 8:30,the nurse called me back at 8:54. I will be taking the first appointment of the day from now on, and hopefully I will get in closer to time so that I may continue my day ontime. Front desk staff are not very friendly but once you get with the nurse it is like a whole new environment. The office staff and Doctor made switching to a new primary care doctor easy. The doctor took time to get to know me and my health. I highly recommend him. Very courteous and knowledgeable. Spends time with you and listens. Highly recommend. This is the absolute best doctors office. Doctors visit was pleasant although I never got to meet Dr. Hallbauer! Staff is nice and answers questions sufficiently! Thanks. Best group of medical professionals in Conroe, bar none! I love all the people that work there. I’m just completely annoyed with how long it take them to get a new patient seen! With every one of my family members we always sit out in the waiting area for atleast an hour! They make new pt come 30mins early just to sit there for an hour and a half! Then we had to sit in the back room for another 40 minutes until we were seen! If Dr Hallbauer can get this under control then his staff is 5 stars! But 2 hours waiting is longer then most surgeries I’ve had! One of the few doctors who really took the time properly listen. Genuinely cared and would highly recommend. Got in to see the doctor and had 2 labs done in less than an hour!!! Great. He engages in the appointment. I felt like I was the only one he had scheduled that day because when I spoke... he listened and once I was done he wanted to make sure I understood what the options were andwhat he recommended. That's hard to find that nowadays. I'm very happy to have found him and I will definitely recommend him to anyone that is looking for one. Great! I love all the staff there! Always very friendly. Same day scheduling when I need to. I need to get in and get out so that works for me. Love Dr. H and his team! Excellent care. Got in and out and all my questions answered and all in less than an hour time from check in to check out. Wonderful visit - He remembered my kids and inquired about them. He sincerely was interested in what they were doing and he definitely took his time and listened to me and I got much more out of the appointment than I expected to. Always a pleasure at this office. Fantastic overall experience! Wonderful office all together!!! Dr Hallbauer and his assistants are phenomenal. You can search high and low but you will not be able to find a better professional to take care of your entire family. Very pleased with my visit. I am more assured and comfortable knowing that my wife and I will be dealing with this confident professional doctor. Katie his physician assistant was terrific! But the wait was not making me happy. I also wish the receptionist would have called me back like I asked them to in my message earlier that morning. Being new to the area Ihad questions and it was stressing me out all day until my appt, which I made myself online. As a new resident of Texas, I was concerned about replacing my doctors from NC. He was recommended by my son-in-law. I was absolutely satisfied. He was very easy to talk to and spent a lot of time discussing my issues. I will be going back! He listens, he explains the options and was in and out pretty fast but not rushed. Dr. Hallbauer is great. Took his time and listened to me. I would definitely recommend him. Best visit with a physician I can remember. Candid, positive, informative. Listens to what i say and helps guide me with realistic goals for fitness. Actually wants me off meds and feeling better to prolong life. I feel he is an advocate for my well being. The wait time at Dr Hallbauer's office is the only 'negative', but having known that in advance it didn't bother me at all. Instead, Dr Hallbauer takes a genuine interest in his patients, and takes the time needed to explain anddiscuss what your needs are (probably what causes the wait time). He, as well as his staff, are incredibly friendly, non-judgmental and create a very comfortable environment (coming from someone terrified of doctors offices!). I strongly recommend Dr Hallbauer and his staff to anyone looking for a new or good doctor. Friendly, efficient, explained things well. Friendly. Apologetic for time wait. Very thorough in evaluation. Showed me my MRI and explained findings. Prescribed plan of action to alleviate my back pain. Great first time visit. Very impressed with the entire team. Empathetic of my needs. Nice people throughout the office! Good care. Dr Hallbauer was very good. He talked with me at our introductory meeting and was very helpful. It does bother me, however having to wait between the waiting room and in the exam room for over an hour to be seen by the doctor. I really liked the doctor. The appointment was at 2:30 and it was after 3:30 before we saw the doctor. Dr. Hallbauer is extremely professional, knowledgeable, and compassionate. Efficient staff. Highly recommend. Very warm and welcoming and made me feel at ease. Very personable and knowledgeable., as well as thorough. I really like Dr. Hallbauer. He is professional yet friendly and shows concern. Dr Hallbauer is an excellent MD. He is highly knowledgeable, extremely professional and very polite. He has been an absolute blessing to our family (all seven of us) The entire staff working for him is equally wonderful. We love the practice. I highly recommend Conroe Family Medicine. This was my first appointment with this doctor and it was great. This was my first visit to Dr. Hallbauer. I recently moved from Houston and need a Family Doctor here in Conroe. I will definitely go back! He has treated my husband and I for about 6 years. My husband passed away December 18 and Dr. Hallbauer came in the exam room, hugged me and I told him about my husband's struggle and death, he cried with me,and let me talk. He did explain a lot of things about my husband's passing that I was unaware of. It was comforting. ¿El paciente ha visto este doctor antes?